It is those safaris that are considered luxurious and welcoming to visitors who do not want to give up any amenities during their time away from home. Instead of roughing it in the middle of a park or forest, these guests are able to walk into tents that offer everything from en-suite bathrooms with hot showers and sometimes even room service. Most of the mobile safaris in Serengeti are absolutely amazing and visitors will feel like they are staying within a luxury hotel even though they are out in the wild. These mobile safaris include bathrooms with hot showers, extraordinary cuisine, and even a personal butler. The best thing about a mobile safari is that they are set up fairly close to where the wildlife is currently roaming, so no one needs to venture too far to see the animals that are lingering around. Of course, animals do not stay in one place for too long, but these mobile camps can be packed up easily and then set up quickly where the animals decide to linger next. 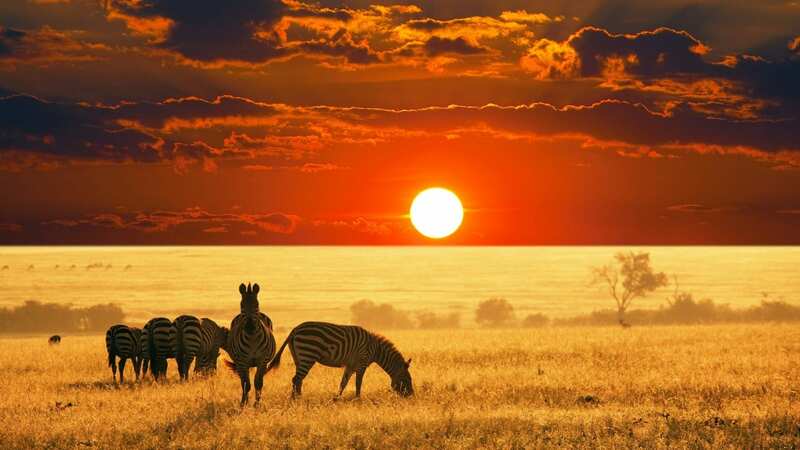 This is one of the best places to watch the Great Migration in Africa, because more than one million wildebeest pass through as well as over two hundred thousand zebras. 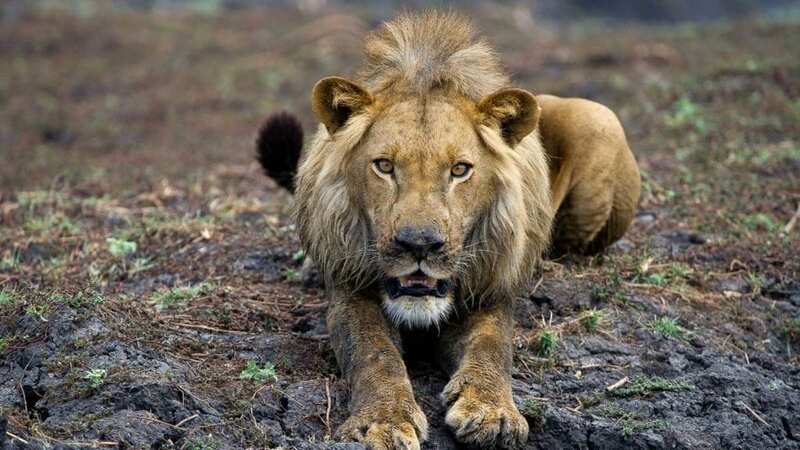 Lions roam nearby in hopes of capturing one of the migrating animals and it is common for a visitor to watch as a crocodile kills an animal trying to cross the river. This former royal hunting reserve is now home to the Sanctuary Chief’s 5 Star Camp and anyone that wants to see the big five and more will want to go there. Guests can walk outside their luxurious suites to see elephants, giraffes, lions, wild dogs, and much more. Of course, some people may spend part of their days relaxing at the terrace pool or dining within their private dining room. 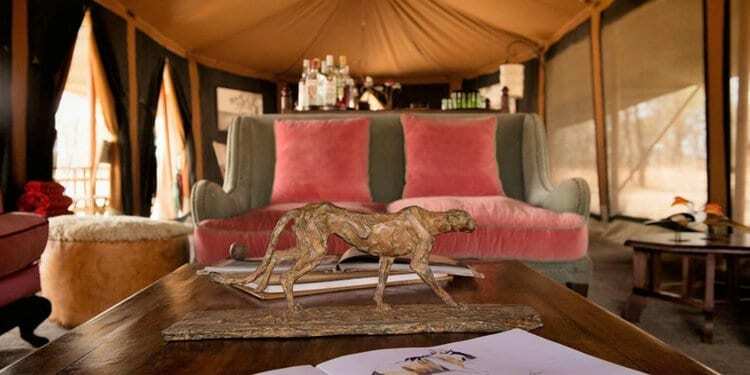 Each intricate detail has been taken into consideration at this luxury safari, so each guest will have a superb experience that will last them a lifetime. There are plenty of animals to be seen within Kruger National Park, many more than the big five. Many people choose to participate in this safari, so that they can see the antelope, hippos, and cheetahs that can be viewed right alongside the lions, elephants, rhinos, and more. 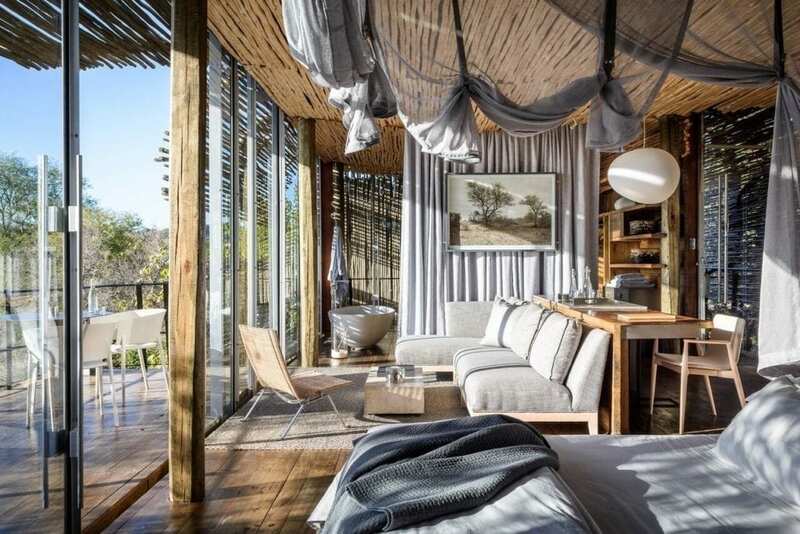 The Singita Lebombo Lodge is comprised of wide-open suites and guests can look out over the N’wanetsi River through the large glass windows and walls. Everyone will love gazing out those windows as they watch the sun setting in the sky, giving a soft glow to those animals grazing below. Guests can also enjoy phenomenal views from the wine studio or the roof terrace. The spa is the perfect place to spend part of a day after returning from watching the wildlife and everyone will leave this safari refreshed and relaxed. Luxury does not need to be boring, which is evident at the elephant back safari in Botswana. 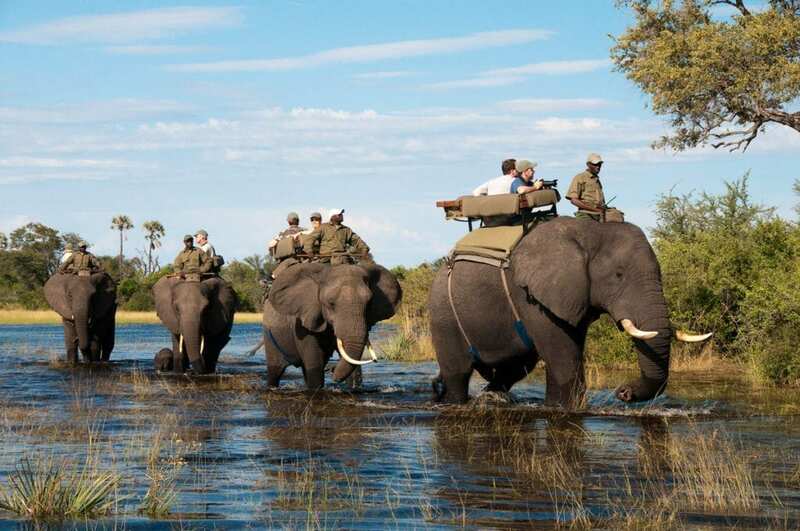 Every guest at the Abu Camp within the Okavango Delta in Botswana will find themselves searching for wildlife as they ride on the back of an elephant. This unique vantage point is higher than any other safari vehicle, which means that each guest will see more than they would in any of the other safaris. Riding an elephant is quite the surreal and spiritual experience that will be remembered forever. At the end of each day, guests will return to one of the six luxurious guest tents for some downtime before their delicious dinner is served. Safaris always take place far into the bush, but there is a luxurious safari in Zambia that offers time on the beach as well. Chinzombo can be found on the Luangwa River and it is the place to see the elephants, lions, and leopards of the region. 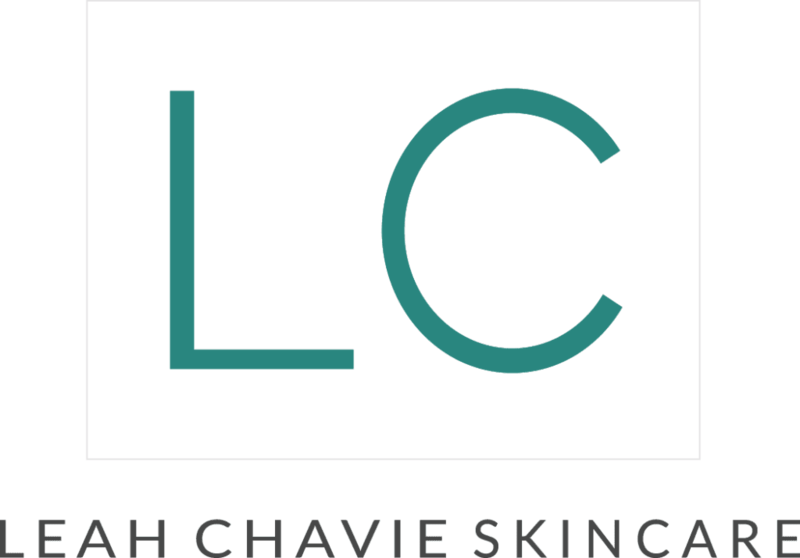 After a few days roaming the countryside, everyone will be ready to spend some time on the shores of Lake Malawi. The beach lodge, Pumulani, is a great option with ten villas and views of all the wonderful wildlife. Guests can swim with the more than one thousand different species of fish as they capture glimpses of the large variety birds that call the area home. The lodge offers sunset cruises, which may not be as fascinating as time out in the wild on safari, but they are quite beautiful and breathtaking. These are the top luxury safaris in Africa, and every guest will feel like they have been welcomed home as soon as they arrive. Each one offer fabulous amenities that allow guests to feel comfortable and pampered even as they are out in the wild.